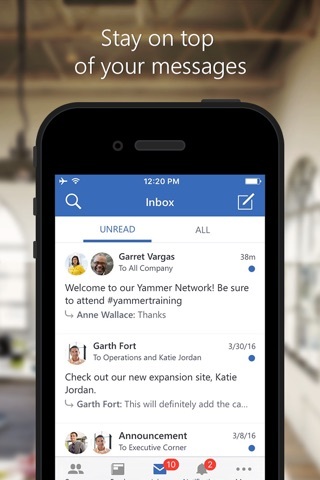 Yammer is the enterprise social network that helps you and your team collaborate openly and stay on top of it all. 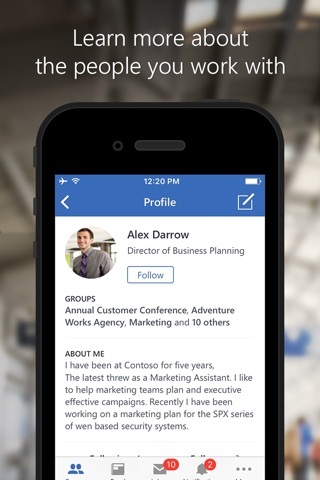 With Yammer, you can connect to the right people in your organization, share and search for information across teams and organize around projects and ideas so you can do more. 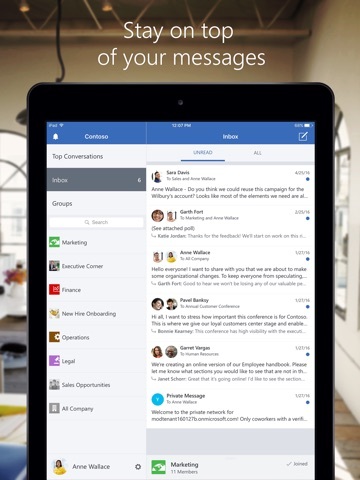 With Yammer for iOS, work gets done anywhere. 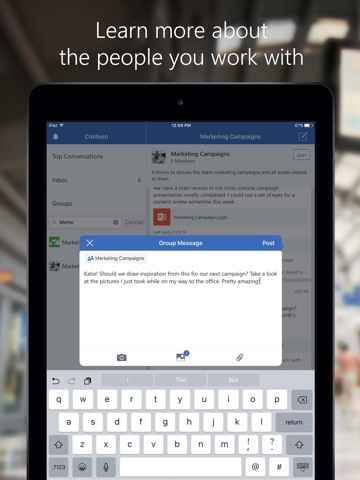 You can contribute and collaborate with your team, even on the go. 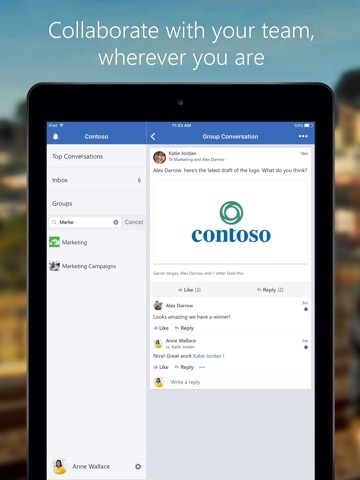 - Stay connected: with Yammer for iOS you're just a tap away from coworkers, information and conversations. 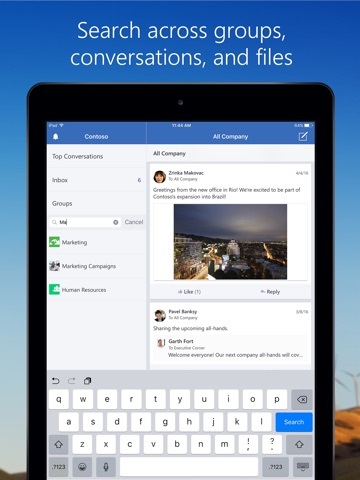 - Share photos and videos: snap a pic or capture a video, then easily share it with coworkers, regardless of file size. - Get interactive notifications: get notified of important activity right when it happens – and take action right from the lock screen of your iOS device. 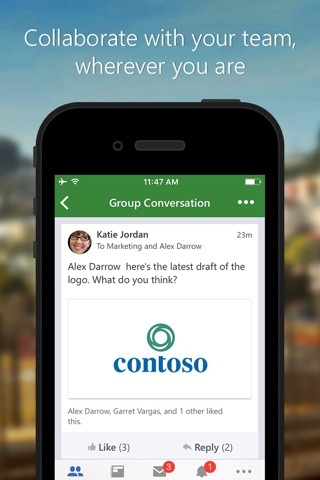 -  Work across language barriers: bring down language silos in your organization with 25-language support in Yammer for iOS – including integrated, on–the–fly message translation. • Improved reliability of image previews. • Removed duplication of uploaded images. • Fixed problems saving files to OneDrive.